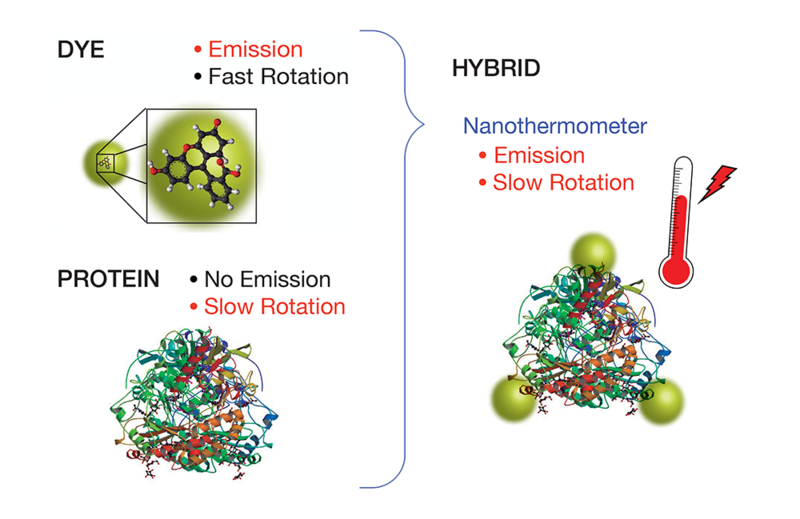 The Ultrafast Bio and Nanophotonics group have developed a novel Plug and Play Nanothermosensor technology with relevance for molecular biochemistry at INL, led by J. Nieder and international collaborators. The novel technique allows a new level of access to measure temperate at the molecular scale. Read the full article in ACS Photonics.